I recently discovered the wonders of eBook Japan as an alternative to Amazon Japan’s Kindle products for an easy way to get digital books and manga overseas. Unlike Amazon Japan, which requires you to jump through some hoops to access Kindle products outside Japan, eBook Japan is perfectly tailored for international customers. Plus, every week they offer a great selection of free manga (and occasionally books) that members can download for free! Reading manga in Japanese is a great way to improve your language ability, but it can be daunting to spend money on a title when you don’t know what to expect. With eBook Japan’s free weekly manga, you can try as many titles as you like and save your wallet a lot of grief! A lot of the free weekly titles correspond to currently-airing anime, too, so you can read along as you watch your new favorite series. 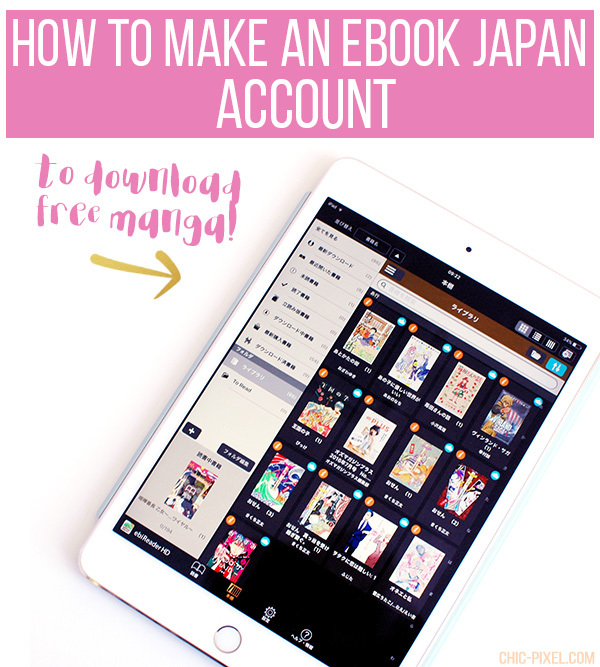 But if you’re not sure how to navigate a site completely in Japanese, never fear: this guide will take you though all the steps to creating an account and downloading free manga on eBook Japan! You’ll then be taken to this page, which asks you to input the email address you would like associated with your account. (This page of the registration process has been updated slightly since I first wrote this guide – on the righthand side there will now be an option to sign in with a Yahoo! JAPAN ID. If you don’t have one, just continue following these instructions.) 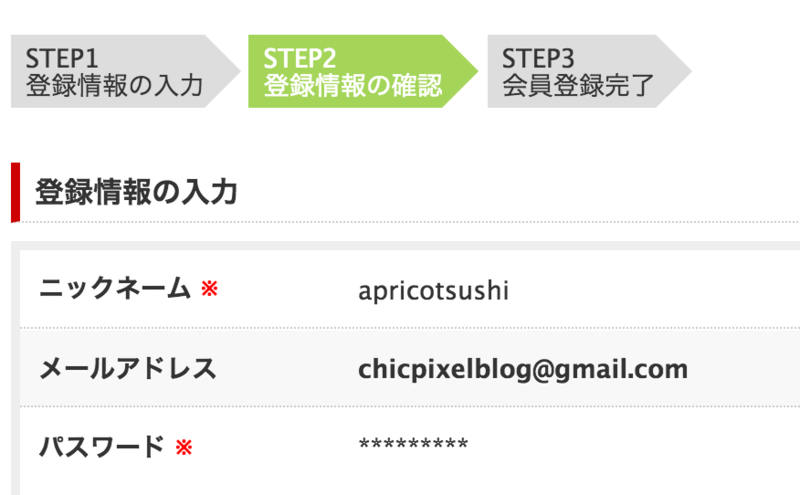 Fill in your email address and click the green button. You should then be presented with a plain screen with Japanese text, but don’t fret! They’ve sent you an email with a link to complete registration. You should have an email from Ebook Japan in your inbox, but if you don’t see it, try checking the spam folder. Once you’ve found it, click the first link you see, which should look similar to the image above. That will take you to the registration page, where you’ll need to fill in your account details. First, select a nickname that will appear on your account when you log in. Your email should already be filled in with the one you initially provided. Next is your password: note that it needs to be at least 8 characters long and include at least one letter, number, and special symbol (the special symbol must be one of these: +-*!#$%&). Input that twice. Next comes the secret question and answer you’ll need to provide in case you ever forget your password. 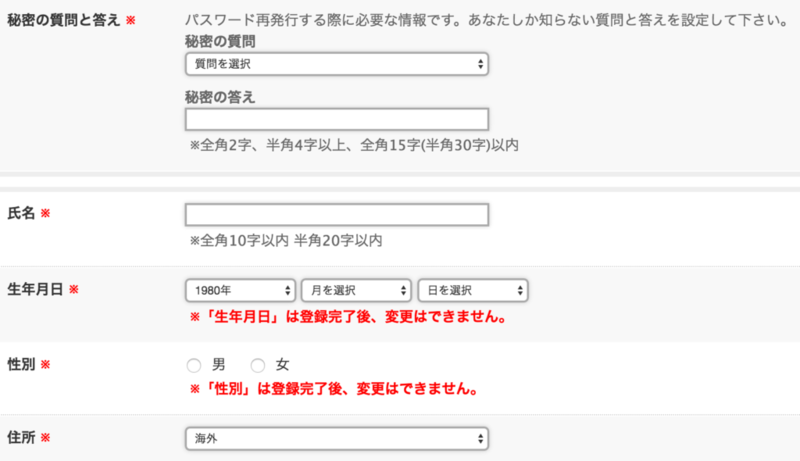 If you don’t care about what the questions say, just choose a random option from the dropdown menu and write whatever you want in the answer field below (this doesn’t have to be in Japanese). Just be sure to make a note of your answer somewhere safe in case you need to reset your password! On to the next item, 氏名 (shimei, full name). Just enter in your full name in English. Easy! Next, input your birthday. From left to right, the order is year, month, and day. Unfortunately, gender is also a required field, so for the next item you’ll have to choose either male (left) or female (right). The final field in the screenshot above asks for your location. 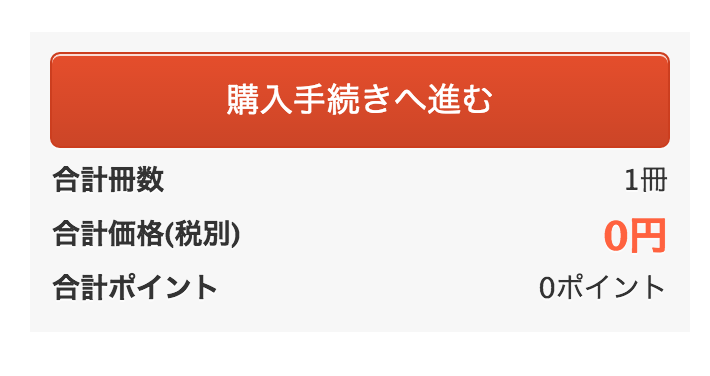 What I love about eBook Japan is they actually include an option for people outside Japan! Just scroll all the way to the bottom to select 海外 (kaigai, overseas). The final two items are regarding adult content and email newsletter subscription. For adult content (top), select the left option if you want to be able to see and purchase adult content and the right option if you’d prefer not to. If you’re under 18, the right option will be automatically selected. I don’t think you can change this after you create your account, so keep that in mind when choosing! 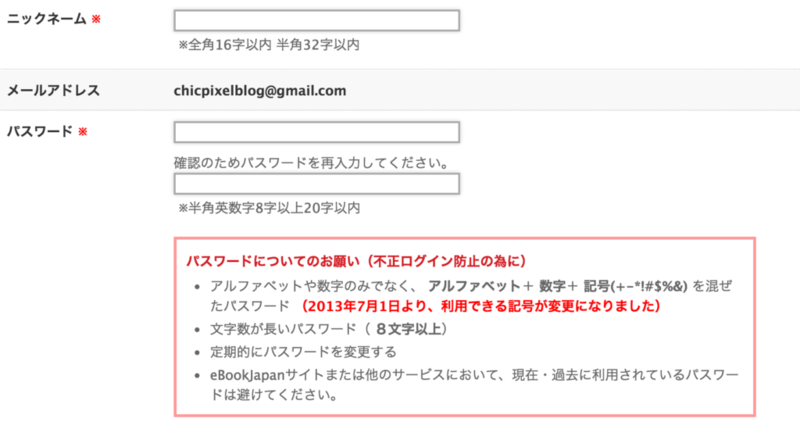 For the newsletter (bottom), select the left option if you want to subscribe, and right option if you don’t. 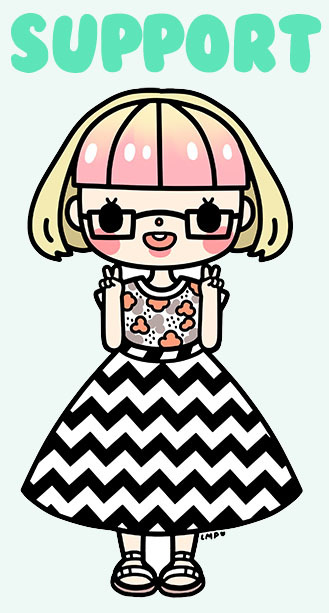 I highly recommend subscribing so you get weekly updates of what the new free manga titles are! Once you have filled everything out, click the green button at the bottom of the page. If everything was entered correctly, you should now be on step 2 of the registration process. Make sure all of your details are how you want them, then click the green button at the bottom of the page to advance. 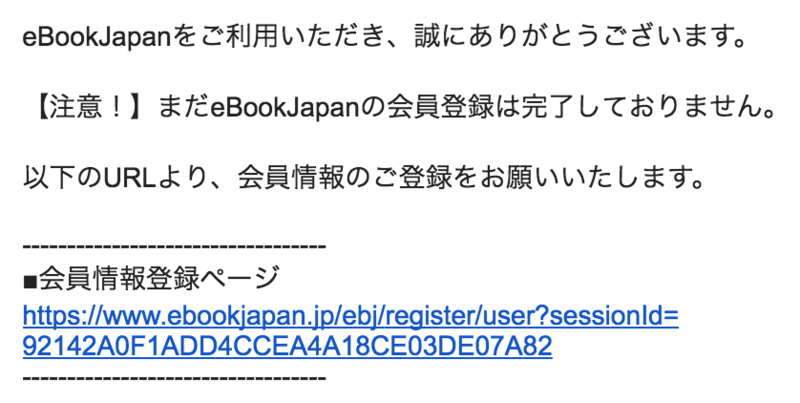 Congratulations, you now have an eBook Japan account! 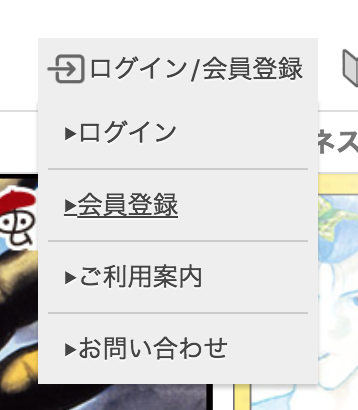 Scroll down to the bottom of the page to find the different options for downloading the eBook Japan app. Unfortunately, you can only read eBook Japan purchases in your browser or using their proprietary app; they won’t work with Kindles or other e-readers. But the app works perfectly fine on computers, Android, and iOS devices! To download the app on your iOS device, you’ll to sign into a Japanese App Store account and search for “eBookJapan.” If you need to create one, I have another guide for that very purpose! Alternatively, it’s very easy to download the Windows and Mac versions, just select the option you want from the drop down menu and follow the prompts to download. I don’t have an Android device, but you can use this guide for instructions on how to download Japanese apps. Remember, in all versions of the app you’ll be prompted to sign in to your account when you first open it. Be sure to do so so you can access your manga! Now it’s time to get those free manga! On the eBook Japan homepage, head to the left sidebar and scroll down until you see 無料の本 (muryō no hon, “free books”). Click that! 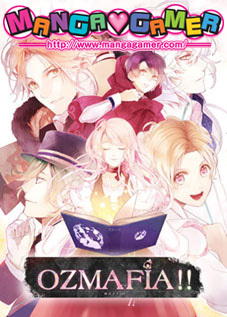 Not all of the free manga (and books) each week are available to download. In fact, the majority can only be read in your browser, which, if you’re like me, is not the most fun way to read things. But feel free to make use of those manga as well! For the items you can add to your virtual bookcase to download read even after the free campaign is over, select the middle option. The third option also includes free titles, but it’s only the ones in the middle option that change from week to week. Be sure to check back often so you can add them to your bookcase for later! Once you select a manga you’re interested in from the free to download section, you should see these options on the right. The top item is 立ち読み (tachi-yomi), which literally means “to stand and read,” but here refers to reading the book in your browser. You can see in the image above that this particular manga is only available to read for free until September 1, 2016. 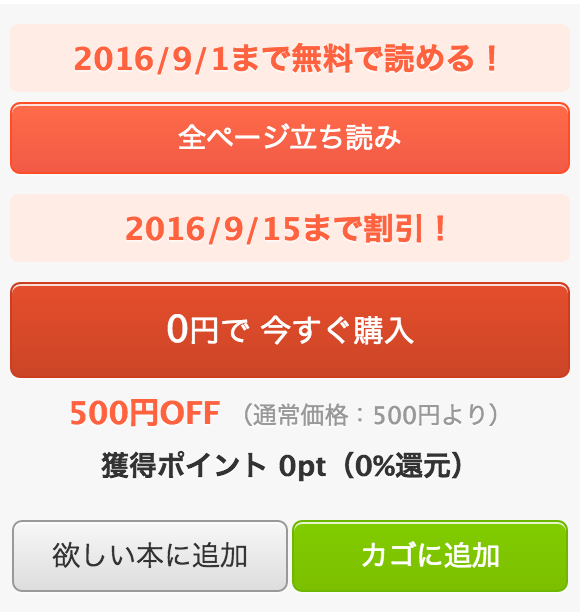 Below that is the option to purchase immediately for ¥0. This is one way to add the manga to your bookcase, but I generally select the green option at the bottom right to add the manga to my cart so that I can go through and add all the week’s free titles and check out in one fell swoop. If you decide to do it that way, simply click the basket icon at the top right of the page to check out! If you followed these instructions, you should have a cart full of items for a grand total of ¥0! Hit that big red button to check out. On the checkout screen you’ll see a breakdown of your titles and their respective sizes. 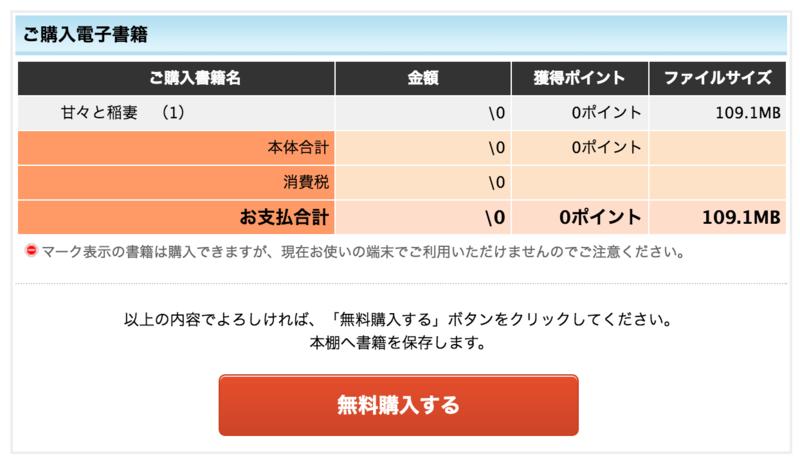 To complete the checkout the process, click the red button. Now open the app on your device and select the individual titles you wish to download and get reading! Feel free to ask me any questions you may have in the comments below! Please include screenshots if you have specific questions regarding the app, etc. eBook Japan accepts international credit cards, so if you want to take the jump and start purchasing manga, it’s very easy to do. Let me know if a guide to how to do that is something you’d like to see in the future!